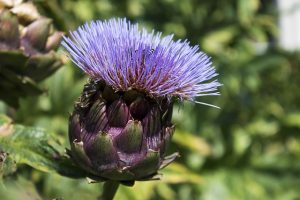 Not sure about you, but we had no idea that an artichoke is in fact a flower. They are in the same family as thistles and we only eat them bud before it blooms! 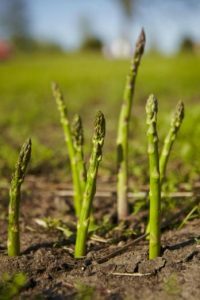 Did you know asparagus grows standing straight up out of the ground in individual spears? It is a perennial plant but will go to flower if not cut and eventually it will produce tiny red berries that are toxic! 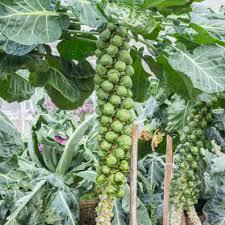 Well, what do you know, this divisive side dish does not grow in the ground, but rather in whole bunches. Brussel sprouts are actually edible buds part of the brassica family and they are attached to the stalk in pretty amazing helical patterns. 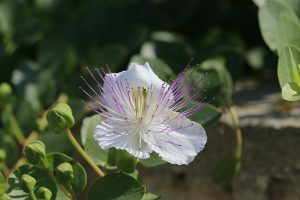 I’m personally a huge fan of the deliciously salty caper, but I had no idea that they were edible flower buds picked before they bloom (like the artichoke). 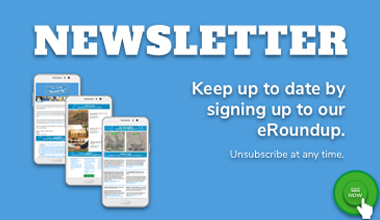 Did you?! On a tree? Perhaps a vine? No and No! 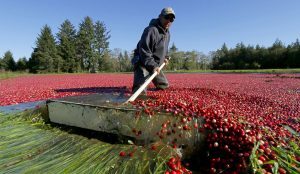 Did you know cranberries are actually grown in bogs and marshes? The cranberry is native to North-America and the bed of the bogs are made up of layers of gravel, clay, peat, and sand. The vines spread over the floor bed and when it’s time to harvest, the beds are flooded so that the cranberry floats to the top of the water. Ever thought about how a date was grown? 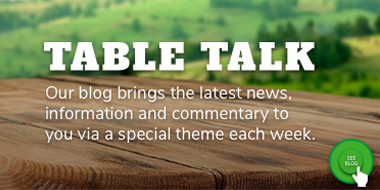 If so, did your mind conjure up something along the lines of a grape-like vine? Wrong! 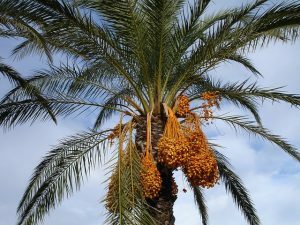 Dates grow in large clumps on date palm trees – the clumps have been described as pendulous (what a great word!). Hands up if you thought pineapples grew from a tree? You are not alone! Pineapples a herbaceous perennial, surprisingly, grow upright from plants. 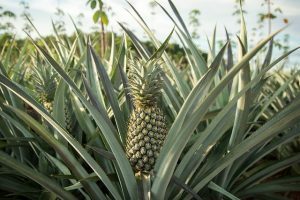 Approximately 1.5m high, a plant with up to 200 leaves forms the body of the pineapple, which grows up from its centre. Well, did you know pineapples are actually berries (or clustered berries)? !